The following may appear on your screen. This is a scam to a foregin number hoping you call and they charge you several hundred dollars to “unlock”! This should unfreeze your Google Chrome. A pop up may ask if you want to RESTORE where you were, do not select this. You should advise your IT service provider this has occurred as well! Anytime a government notice is received that does not make sense you can Google Scam Alert and then something that is in the title of the notice. In this case we googled Scam Alert CMS and the scam alert popped right up! 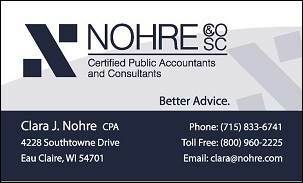 There are many scams that surface towards the end of the year and throughout tax season! So your motto should be – When in doubt…Check it out! 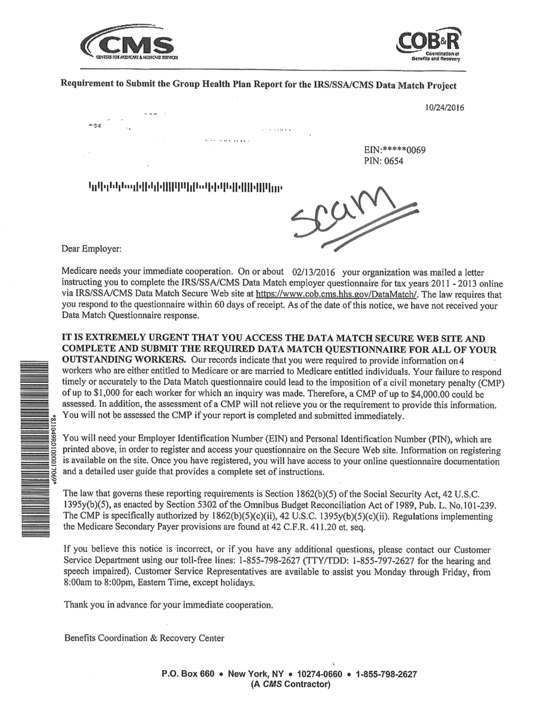 Everyone should be aware of scam that is on the increase – executive wire fraud! The above email looks totally legitimate! 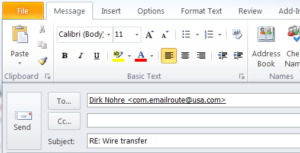 When you hit reply notice the reroute email above…it should say Dirk@Nohre.com! They are clever! Always be looking at the actual email address not just the name for a fraudulent email addresses. 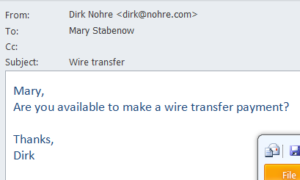 At first glance it looks like Dirk sent the email, but upon further inspection it is clearly aimed at fraud because this is not his email address. From 2014 to mid-year 2015 over $1billion has been lost per the US Secret Service. Do not fall victim to these types of scams…always get positive confirmation from the sender. That is calling the executive and confirming their request, in handwriting if possible. If they are out of town call them directly. Most banking institutions have infinite amounts of information how to assist you with strong(er) treasury controls for your organizations to protect company assets! Other versions of these kinds of scams may have malware installed in the system via an employee clicking on a compromised website like that is emailed to them (this is called phishing), which can lock your system and hold your organization hostage. When in doubt…do not click! Stay vigilant! Strong IT controls should also be put in place with firewalls and software that is looking for these kinds of fraudulent websites. There are many methods but those who have authority with any monetary transactions in an organization should be on guard all of the time! Outgoing mail is stolen from local businesses. Account numbers are taken from legitimate checks and used for the creation of counterfeit checks. Homeless men/women recruited by the check-makers are sent in to the financial named on the original check. Those individuals present counterfeit checks to cash. The check cashers use their own ID’s and usually have a rehearsed story on why they are cashing the check. Multiple individuals will present checks on the same day. Check-makers are usually waiting nearby but out of range of surveillance cameras. Financials should be cautious of non-customers presenting checks to cash, especially if arriving on foot or being dropped off some distance away. Please verify such checks with your customers before approving the transaction! If you suspect an individual is attempting to cash a counterfeit check, notify your local law enforcement agency immediately.